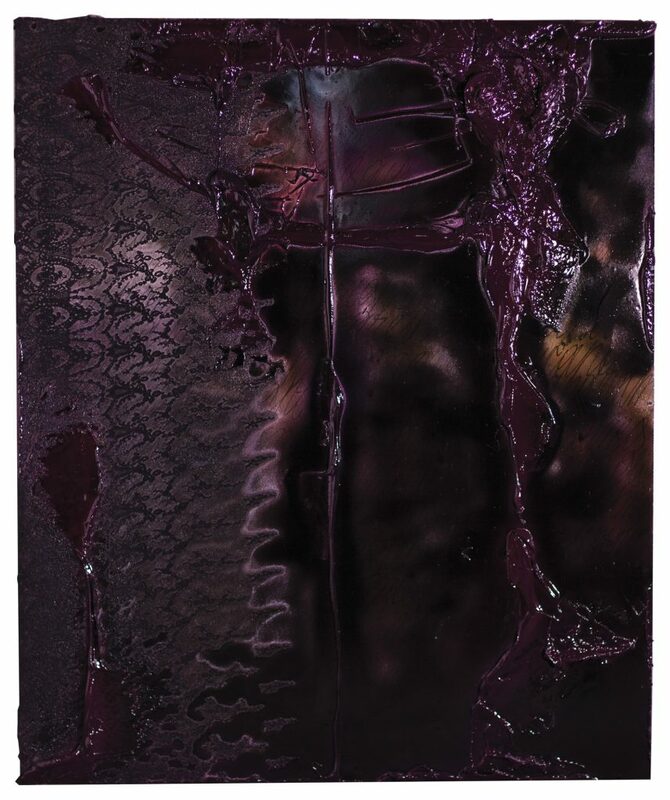 Black Lace and magenta oil, what could be better as the two intertwine, joined through metal and gravity. a silent mantra accompanies them underneath it all; the lace stretched tightly over aluminum shines in its transparency, revealing just sufficiently its true nature. Oil drips heavy in its physicality , contrasting delicacy. yet harmoniously they coexist in contrasting luminosity. the nature of each material opposing the other, it is pure formality of aspects. translucency, opacity, honesty.